A collection comprising of hanging lamps and ceiling lamps with interchangeable elements in three different shapes and sizes. 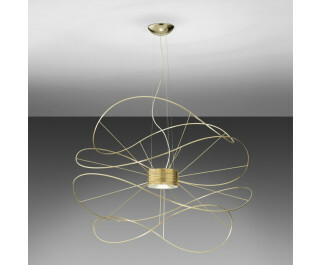 The hanging lamp can light upward and downward at the same time. 24K gold finish. Light source: integrated LED.